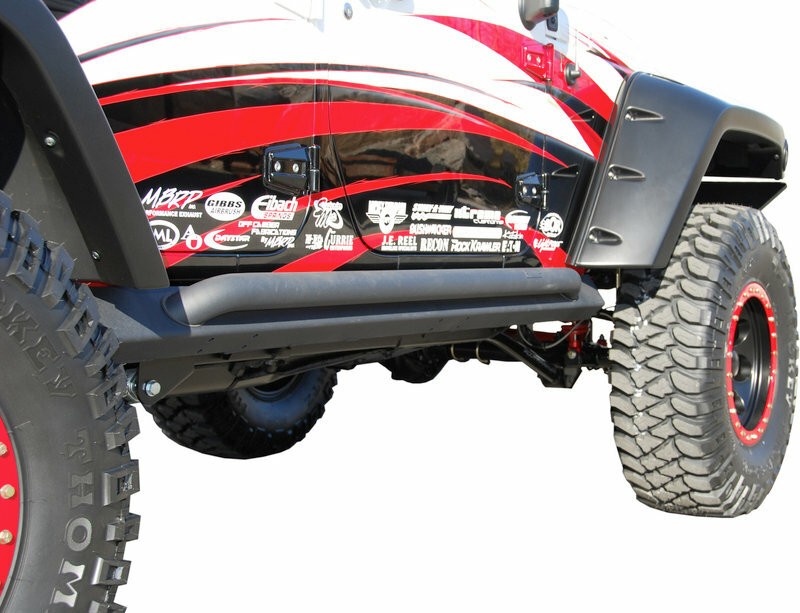 Off Camber Fabrications by MBRP puts the FUN back into functional with Rock Rails for the JK that are just plain cool. These LINE-X coated Rock Rail kits come complete with everything you need for a quick and simple install. There's no drilling or welding required. Fit them onto your JK and you'll be ready to take on all the rock crawling, tree crossing and mud bogging you could want.